With so many flooring options available, it can be hard to figure out which one is best for your home. Which one should you install? What kind of flooring will give your home the look you’re aiming for? One of the types of flooring you might be considering is cork. If you have, in fact, been thinking about installing cork flooring in your house, you’re probably wondering about the pros and cons of this kind of flooring. It’s only natural to wonder if you’re choosing the right kind of flooring. And it’s good to make sure you are getting the look you want as you choose your home’s flooring. Since it’s so important, we wanted to tell you a little bit about the process of installing cork flooring. With some information about this kind of flooring, you may be able to figure out whether or not it’s the right choice for you! Alright, so the first thing you’ll need to know is that there are different kinds of cork floors. That’s an important fact to know before you look into installing cork flooring. After all, you want to choose the type of flooring that best suits your desires. 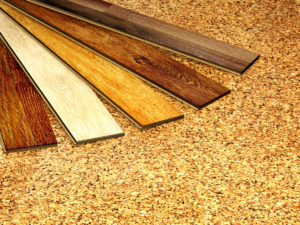 So, knowing which kind of cork flooring you want to install is definitely a big part of the process. Each different flooring option has its own advantages. So, it’s important to make sure you’re choosing the one you want. There are two different styles: tile and plank. There are also different colors and compositions. Cork also comes in a variety of texture. Okay, so now let’s take a look at the different kinds that are out there. Let’s talk a little bit about the varying textures of cork flooring. Some cork floors have a more linear appearance as it uses strips of cork. It’s called peeled cork. There’s also burled cork which incorporates various sizes of cork pieces. There are cork floors which are made up of smaller granules, which uses finer pieces of cork. Then, there is the option which has medium granules, which, as you might guess, uses slightly larger pieces of cork. And, then there is large granule cork flooring. This, of course, uses much larger pieces of cork and creates a look that is a little more textured than the other two options. Now, if you’re looking at installing cork flooring in your house, no doubt, you want the room to look a certain way. You can get the appearance you want by focusing on a specific composition and texture as well as color. Believe it or not, this floor option comes in a few different shades and you’ll want to check them out before you begin installing cork flooring in your home. Cork has a naturally bright tone to it. So, it’s a great option for a room where you want to add some life and warmth! On the other hand, you can stain it to give it a deeper tone if you’d like. Painted cork floors can give your home a special and unique look. That’s right; you can actually paint your cork flooring to get the look you want! That’s all folks! 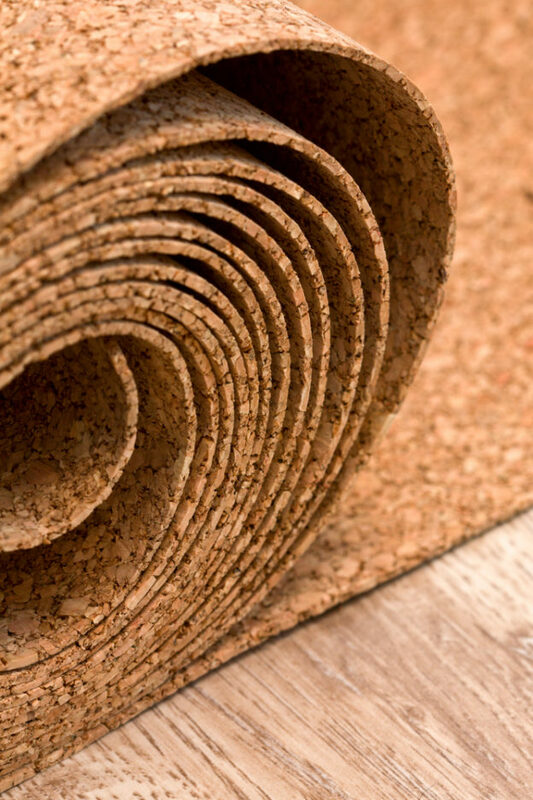 You’re ready to begin installing cork flooring in your house? Well, that is, almost ready. The first thing you need to do is get rid of the flooring you already have. But don’t worry! DustBusters Floor Removal can help you out! Let us remove the flooring that you’ve got in your home so that you can go ahead with your plans of installing cork flooring. Just give us a call today!